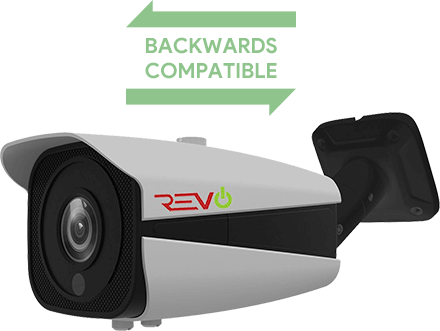 Combining High Definition video quality with the convenience of Analog, Revo Aero is the best value in HD Surveillance. Revo Aero's breakthrough Analog HD technology combines the best of HD with the convenience and reliability of Analog at unbeatable value. The RASBF-1 Revo Aero Surveillance System delivers 1080p HD video quality over BNC Coaxial Cable and is backwards compatible with Analog cameras making it an ideal upgrade for an existing system. The REVO AERO 8 CH DVR is fast and powerful. It's equipped with a high-performance processor and support state of the art features. The Revo Aero Cameras also come equipped with IR LEDs for HD night-time surveillance. Revo Aero cameras are built for indoor and outdoor use, capable of handling a wide range of temperatures, rain or shine. Securely view your Revo Aero system from virtually anywhere. 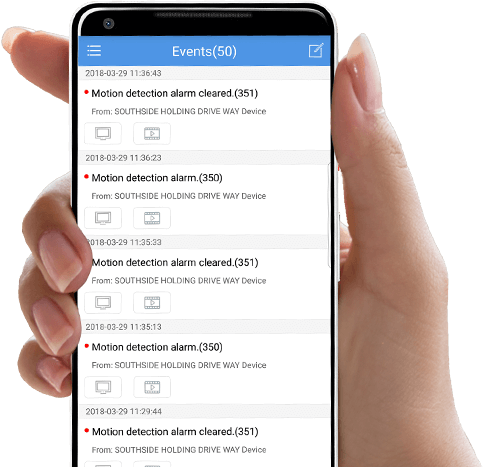 RevoAero.com website and Revo Aero Smartphone app allows you to access your Revo Aero system. View your cameras, adjust settings, and even record video. Take advantage of 1080p HD resolution, with the convenience and simplicity of Analog. Peace of Mind at exceptional value and convenience with Revo Aero. Q:could you please add more pictures to the descriptions. need to see types of wiring, the backside of the hard drive, compatibility with other cameras. etc. A:Please check our Revo support videos. Q:Does this come with a monitor to watch live feeds in the house? A:No, monitor is not included with this package. Q:We have one of these sets and need to add wireless outside as a result of recent theft. Can you connect wireless cameras to this DVR as well? Q:Does this offer 24 hour continuous recording or is it only motion activated? A:You can do continuous or motion recording on this system. could you please add more pictures to the descriptions. need to see types of wiring, the backside of the hard drive, compatibility with other cameras. etc. Please check our Revo support videos. Does this come with a monitor to watch live feeds in the house? No, monitor is not included with this package. We have one of these sets and need to add wireless outside as a result of recent theft. Can you connect wireless cameras to this DVR as well? Does this offer 24 hour continuous recording or is it only motion activated? You can do continuous or motion recording on this system.